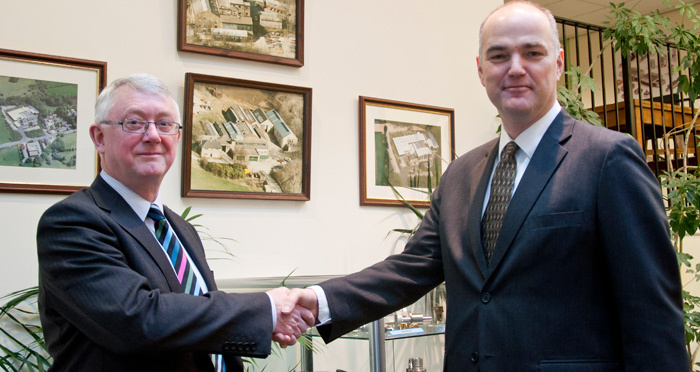 Andrew Wright stepped into his new position last week as Managing Director at Reliance Precision, taking over the helm from Roger Kenworthy. After 27 years with Reliance as Finance Director, Company Secretary and latterly Managing Director, Roger Kenworthy is stepping aside from his role as MD, but will continue to work part time for the foreseeable future. “I am delighted to welcome Andrew to Reliance; he brings a wealth of managerial expertise and manufacturing experience from his career in the chemical industry and is an excellent fit with our existing management team. His appointment gives us additional strength and stability to take the business forward, and I look forward to working with him in my continuing roles as Director, Company Secretary and Pension Fund Trustee”.